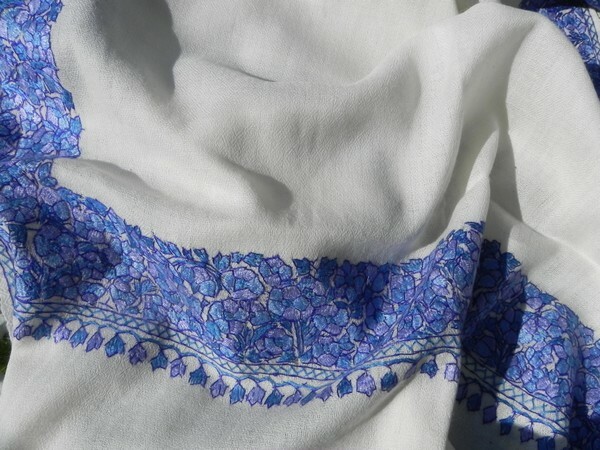 A beautifully hand embroidered blue border of 'papiermache' style flowers is featured on each edge of this luxurious white pure wool stole. The 'papiermache' style of hand embroidery is highly sort after since this art almost disappeared a few years ago. It is based on the designs seen on the famous hand painted 'papiermache' boxes that are also handmade in Srinagar, Kashmir.